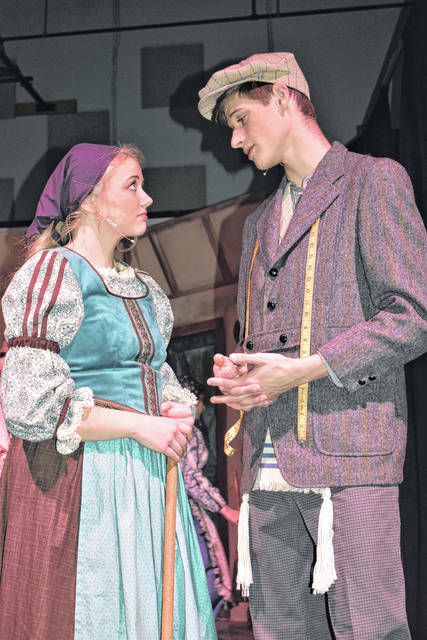 https://www.dailycall.com/wp-content/uploads/sites/30/2019/03/web1_Fiddler2.jpgCody Willoughby | AIM Media Midwest Golde, played by Courtney Marker, chastises a praying Tevye, played by Aedan Kennedy, in “Fiddler on the Roof,” a new production from School on the Rock. 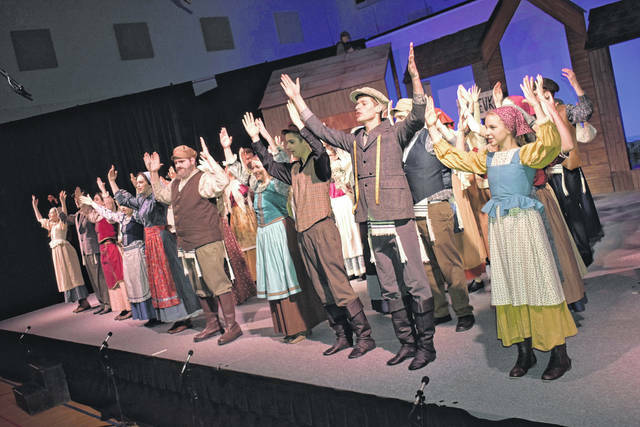 https://www.dailycall.com/wp-content/uploads/sites/30/2019/03/web1_Fiddler1.jpgCody Willoughby | AIM Media Midwest A chorus of villagers sing of glorious traditions in “Fiddler on the Roof,” a new production from School on the Rock. 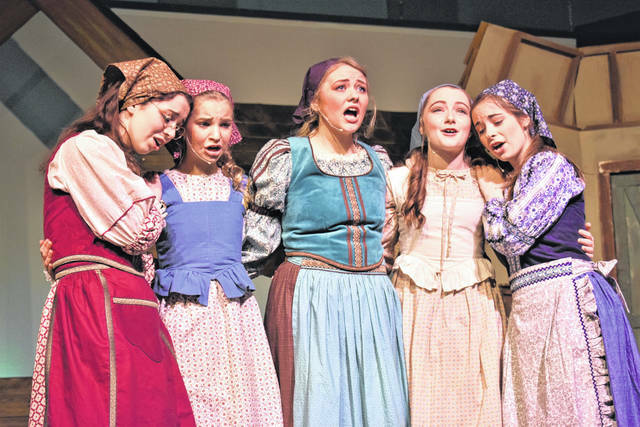 https://www.dailycall.com/wp-content/uploads/sites/30/2019/03/web1_Fiddler4.jpgCody Willoughby | AIM Media Midwest From left, Hallie Starry as Chava, Madison Coate as Bielke, Olivia Early as Tzeitel, Selah Early as Sphrintze, and Megan Caupp as Hodel dream of their perfect match in “Fiddler on the Roof,” a new production from School on the Rock. 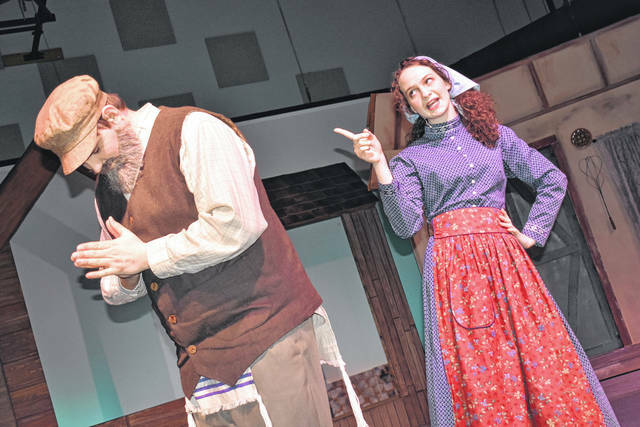 https://www.dailycall.com/wp-content/uploads/sites/30/2019/03/web1_Fiddler3.jpgCody Willoughby | AIM Media Midwest Tzeitel, played by Olivia Early, speaks privately with Motel, played by Stephen Mattingly, in “Fiddler on the Roof,” a new production from School on the Rock.